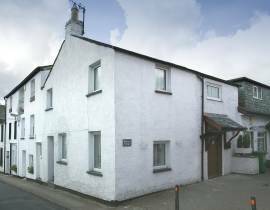 Here are the details for Michaels Cottage ideal for a cottage holiday in Keswick, Cumbria. To book or find out more please use the Booking Info or Availability buttons below. Lounge/Diner/Kitchen: Open plan area with exposed beams. 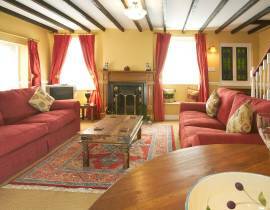 Living area with attractive open fireplace (logs available locally), colour TV, DVD player and CD/radio. The kitchen/dining area has electric oven, gas hob, fridge, Washing Machine / Dryer, dishwasher, microwave and espresso/cappucino machine. 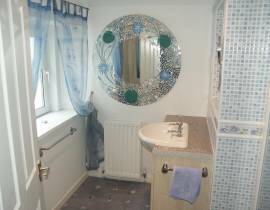 Bedroom 1: Double bedroom with king sized bed and en-suite shower room with hand basin. 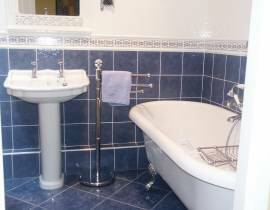 Bathroom: With roll top bath, hand basin and WC. A charming 2 bedroomed corner-terraced cottage, located just off Keswick town centre and a 5-minute walk from Derwentwater and Hope Park. 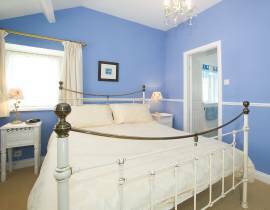 Built in the early 19th century, Michael's cottage has been beautifully refurbished to provide deluxe accommodation. The cottage benefits from double-glazing. All fuel (except logs and coal) and bed linen included. Cot available. As you can see Michaels Cottage is located in a great location. The perfect base for any holiday around Keswick. And well suited to explore the whole of Cumbria. Important note: All information provided about Michaels Cottage are for guidance only. 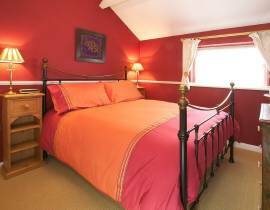 cumbria-cottages.com is an independent site bringing you details of a wide range of cottages in Cumbria and the Lakedistrict. The aim of the information provided is to allow you to compare a range of properties. 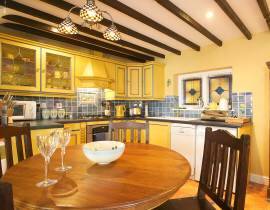 Once you have chosen a cottage that suits your requirments you can book the holiday via the booking links provided which is either the cottage owner direct or a reputable booking agent.